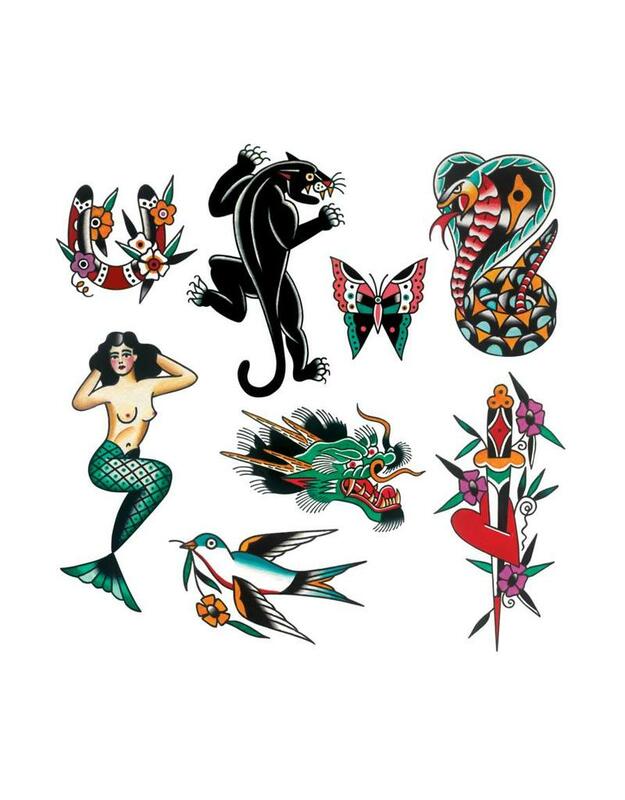 Jessi Preston's Americana Set features eight old-school motifs—a butterfly, horseshoe, dagger, swallow, cobra, mermaid, panther, and dragon. 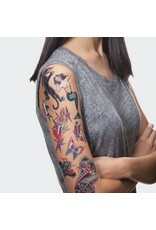 She includes bold strokes and classic colors of traditional American tattooing. 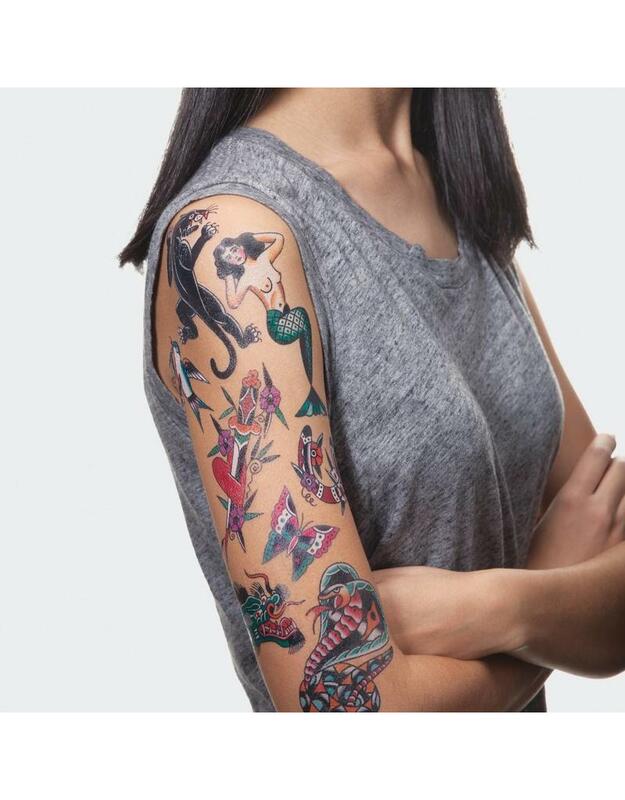 *Tattlys are safe and non-toxic, lasting on average 2-4 days. We suggest placing on oil-free areas where skin does not stretch and keep them clean!